In a medium saucepan, combine the parsnips and milk. Bring to a boil over moderately high heat, then simmer over moderately low heat until the parsnips are tender, about 30 minutes. Drain the parsnips. Set a food mill over the saucepan and pass the parsnips through it. Alternatively, mash the parsnips with a masher. Add the butter and cream and cook over low heat, stirring, until the butter is melted and fully combined. Season the mash with salt and black pepper. Meanwhile, preheat the oven to 375°. On a rimmed baking sheet, toss the brussels sprout leaves with the olive oil. Roast for about 15 minutes, stirring a few times, until golden and crisp. 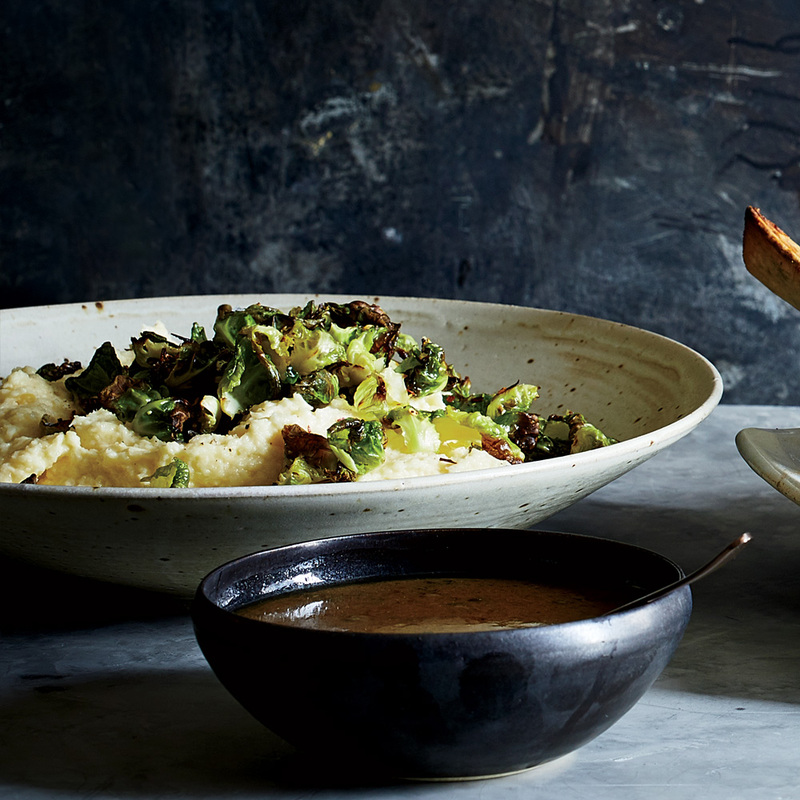 Spoon the parsnip puree into a serving bowl and top with the brussels sprout leaves. Sprinkle with flaky sea salt and crushed red pepper and serve. The parsnip puree can be refrigerated overnight. Reheat over low heat and add additional heavy cream to thin out, if necessary.